For this Colour Challenge, we are asking you to try to make a card using yellow, gold, and kraft. I used a simple design made up with two fishtail banners, a tree die cut and a star punch. To add interest, I used a wood grain kraft card stock as the base, a patterned kraft card stock for the thin banner, and two tone kraft/yellow card stock for the wide banner. In the wide banner, I cut out a negative tree shape and backed it with gold card stock and decorated it three yellow stars. I also decorated the inside of the card with the tree shape and topped it with a star. The sentiment is from SSS. I hope you will join us! I look forward to seeing your entries! We are half way through May and all the gardens are running late. While we had a mild winter it was really long! So creating a Christmas card now seems very appropriate! For this week’s challenge, I selected an adorable puppy stamp by Pink Gem Designs called, “Christmas Charlie.” I coloured the puppy using Spectrum Noir markers. I added a little clear Wink of Stella to his hat and scarf, glossy accents to his eyes and nose, and Stickles to his hat’s pom-pom. For the background, I used Tim Holtz’s Sweater embossing folder by Sizzix because the “knit” patterns of the scarf/hat matched. Please check out the other great stamps at Pink Gem Designs. And please support our sponsors who generously supply our prizes. 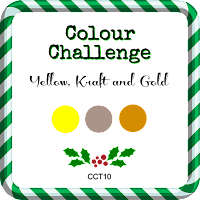 This challenge will last for the whole month of May 2017 – anything goes as long as it’s Christmas – it doesn’t have to be a card, you can link any project as long as it’s Christmas! For my image, I used a fun digi by Dilly Beans Stamps called Framed Snowman 2. I coloured him with Copic markers, added him to a snowflake cardstock from my stash, and added a sticker sentiment by Kaisercraft. Can you believe it? CRAFT Challenge is already 8 years old. Originally started by Tracy from Just Tracy Crafts and with a DT mostly recruited from Trimcraft forum members (Hence the term CRAFT Challenge, which stood for Crafters Residing Are Friendly Trimmies. Or if you wished alternative meaning of Can’t Remember A Flipping Thing) on the 4th of May 2009. The sponsor on my blog is Bugaboo Stamps. And you can win 4 digital stamps from Bugaboo Stamps by adding your name to the Inlinkz at the end of this post. That is easy! Just follow the route on our blog hop, Our Blog Hop lasts for the duration of this challenge, which means a closing time of Wednesday 6pm GMT on the 17th of May 2017. 1. Make a project for this challenge and your entry will be put in the random draw for the prize by Sweet n Sassy. 2. 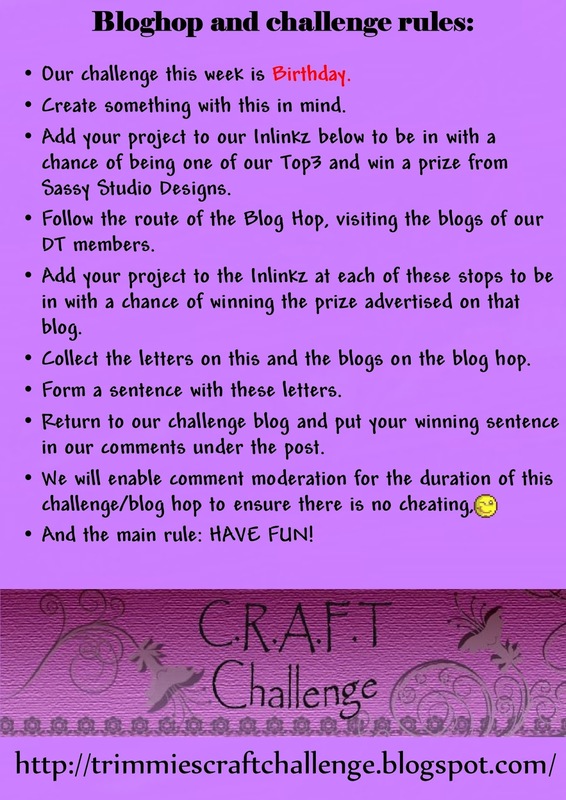 Visit the blogs of our DT and enter into their Inlinkz to be put in the random draw for the prize on their blog. 3. The Top3 will again be chosen as every week as well. 4. No sentences hunting this year I’m afraid. You should have come here from Marlene’s blog and as you can see your next stop is Sheryl‘s blog. The start and finish of this blog hop are at CRAFT Challenge Blog. Your next stop is Sheryl‘s blog. Enjoy the rest of your hop! Don’t forget to add your name to Inlinkz below to be in with a chance of winning the prize on my blog.